Are you an aspiring astronomer seeking greater knowledge of the heavens? Would you enjoy a quality software program that helps you locate celestial objects and provides information about them? If so, then Stellarium might become your next best friend. 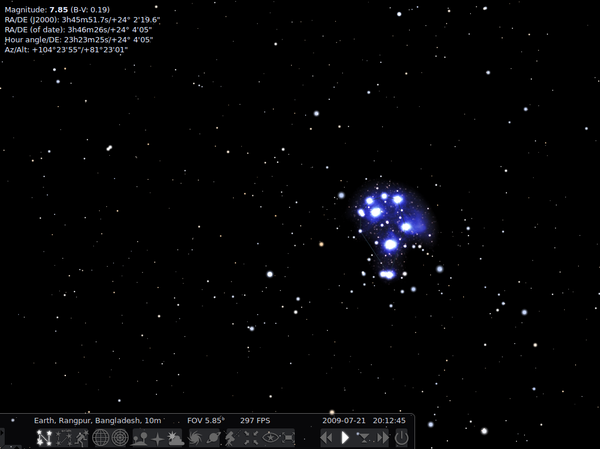 Stellarium is a high-quality, open source program that acts as your personal planetarium. Packed with star facts and a slick, custom GUI, Stellarium is one of the best companions available for understanding the wonders of the night sky. I have been using this program for a number of years, and it has served me well. Here are a few notes about my Stellarium explorations. The slogan “you bet your company” on this line of computers refers to what series of computers introduced by IBM in April, 1964?